This is one of my favorite vegetarian meals. We are not vegetarians and usually have protein with each meal. This meal , however, is so hearty you won’t miss the meat. 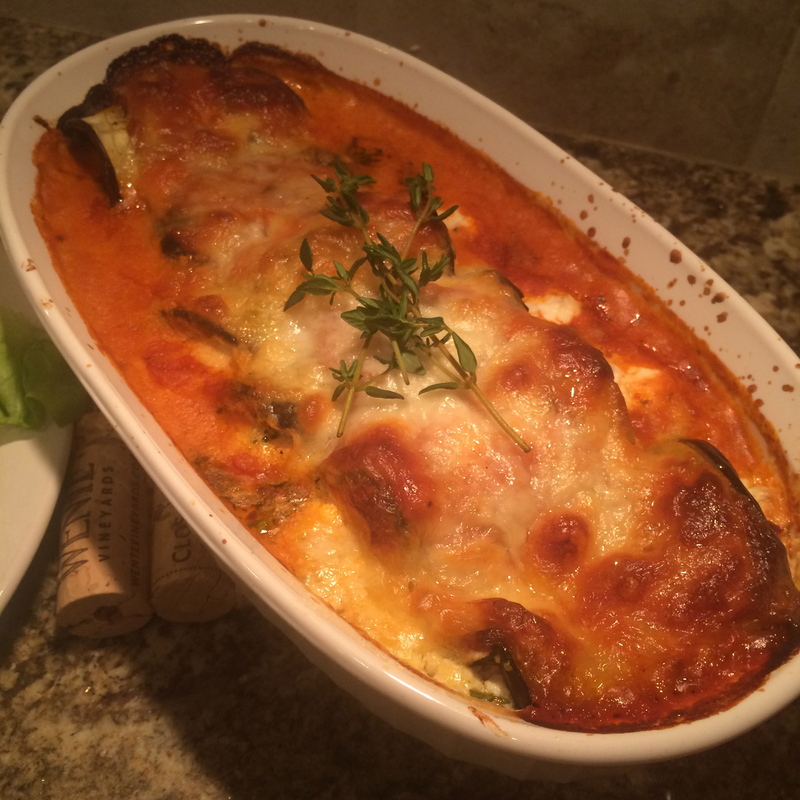 The creaminess of the cheese and the freshness of the thyme pair beautifully to make this a family favorite. 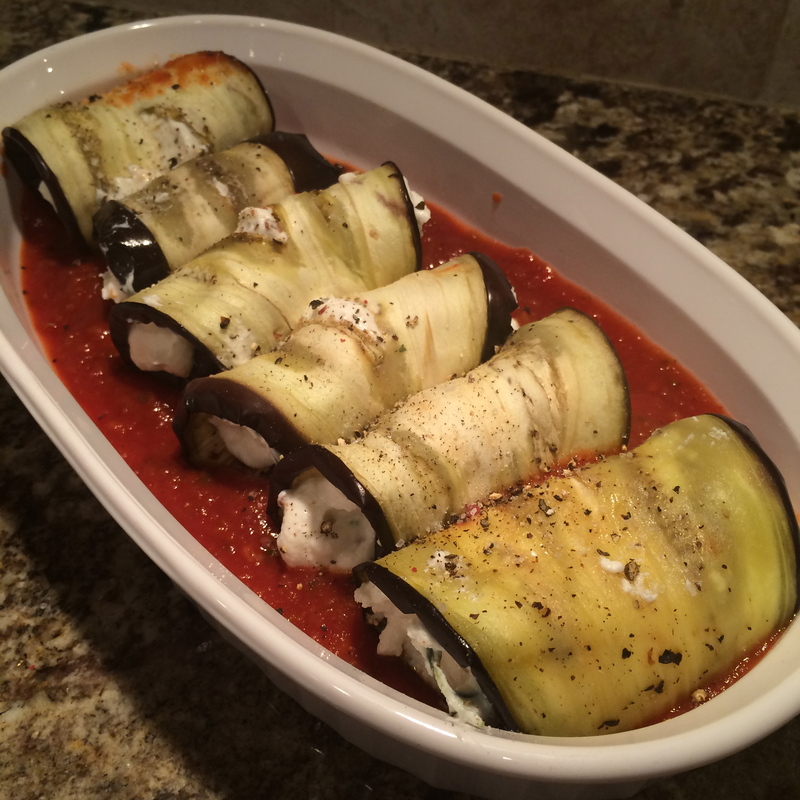 Roasting the eggplant in the oven first allows it to release a lot of its moisture and makes it easier to roll. 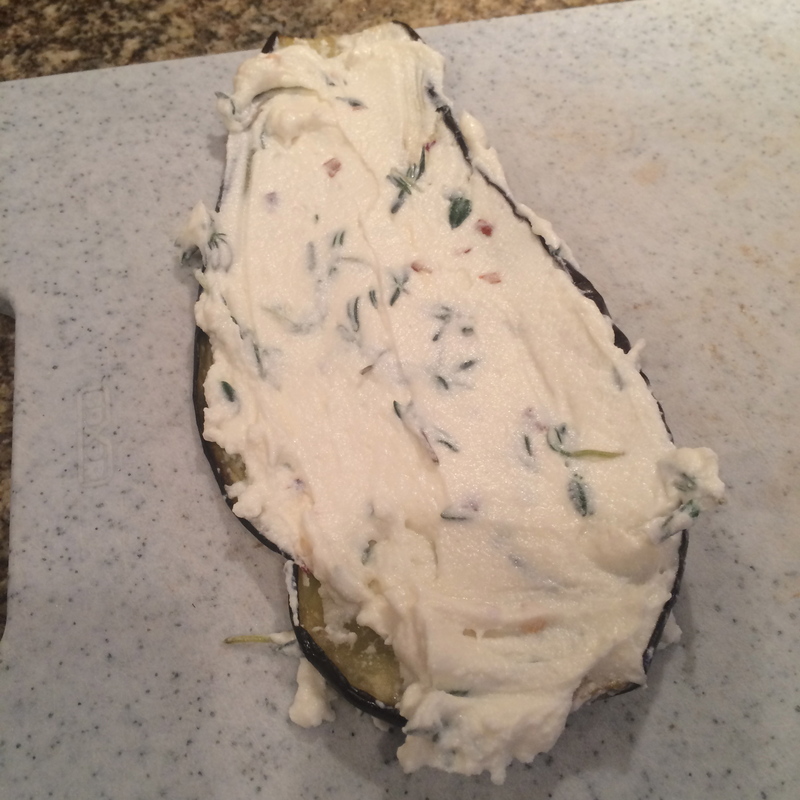 Once the eggplant has cooled spread the goat cheese and Ricotta mixture on each slice and roll up. 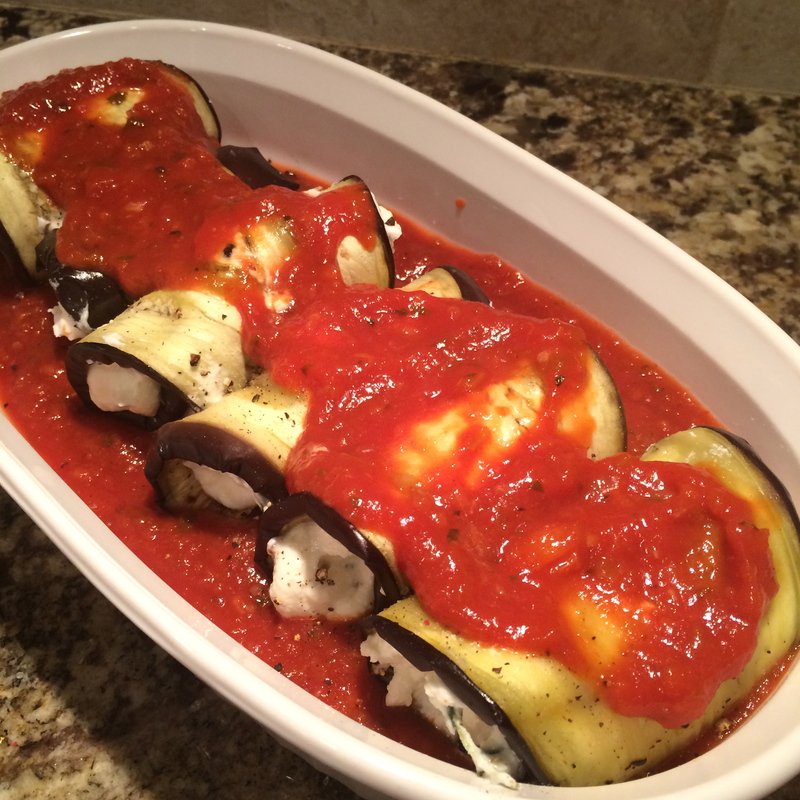 Place the rolled eggplant seam side done in the sauce. Top with mozzarella and bake. Preheat the oven to 450 degrees. Place a cooling rack on to a cookie sheet. 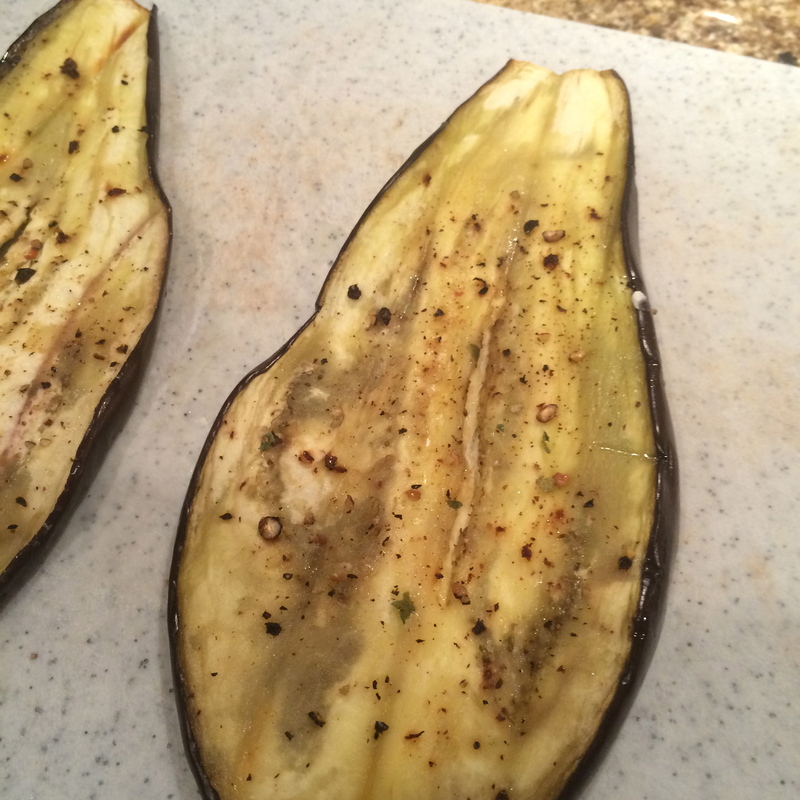 Cut the eggplant from top to bottom into 1/4 in thick slices. Brush each eggplant with olive oil on both sides and sprinkle with salt and pepper. Roast for 15 minutes, remove from the oven, and cover with foil. In a separate bowl combine the goat and ricotta cheese, lemon juice, thyme, and red pepper flakes. Spoon about 1/4 cup of sauce into the bottom of an oven proof pan. 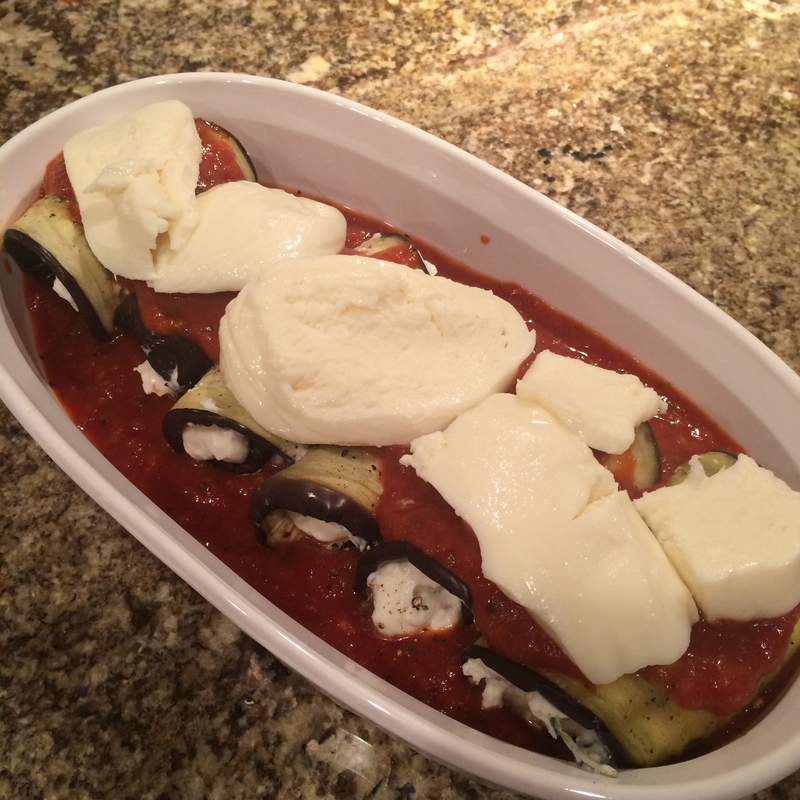 Spread 2 Tablespoons on the cheese mixture onto each eggplant slice,roll tehm up and place them seam side down in the marinara sauce. Top with more sauce and the mozzarella cheese. Bake for 15 to 20 minutes or until golden brown.